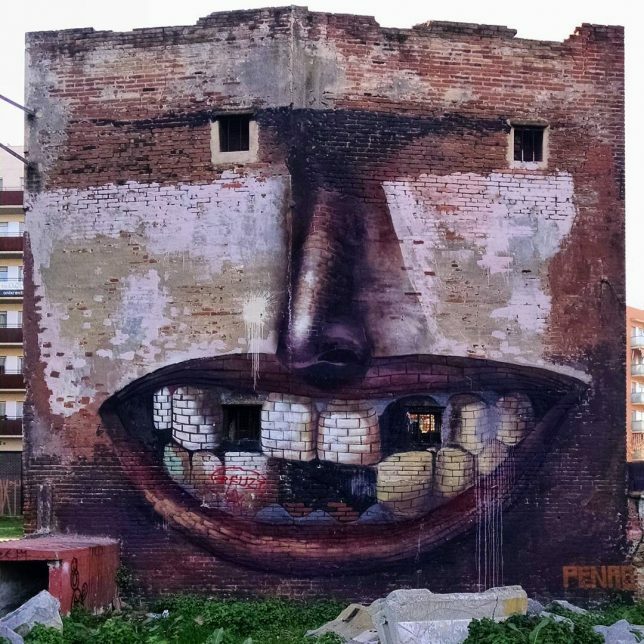 The gaping windows of an abandoned brick building become eyes and missing teeth in this fun anthropomorphic mural by Penao, completed in Barcelona as part of the Murs Lliures project. 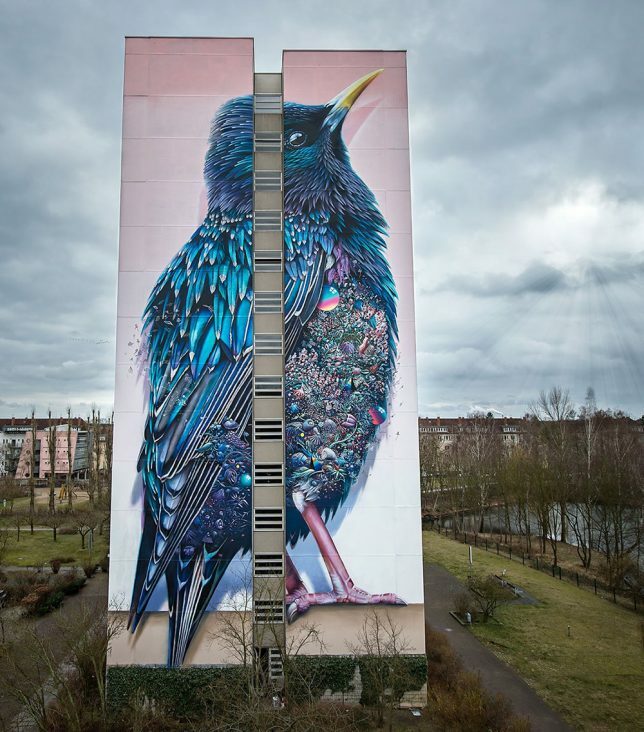 A giant starling covered in iridescent blue-violet feathers and a belly full of flowers and planets graces the side of a towering building in Berlin, stretching 137 feet into the air. 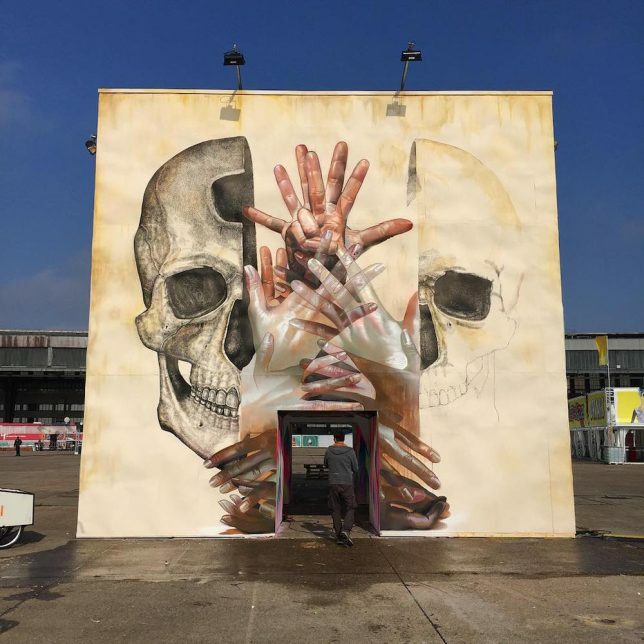 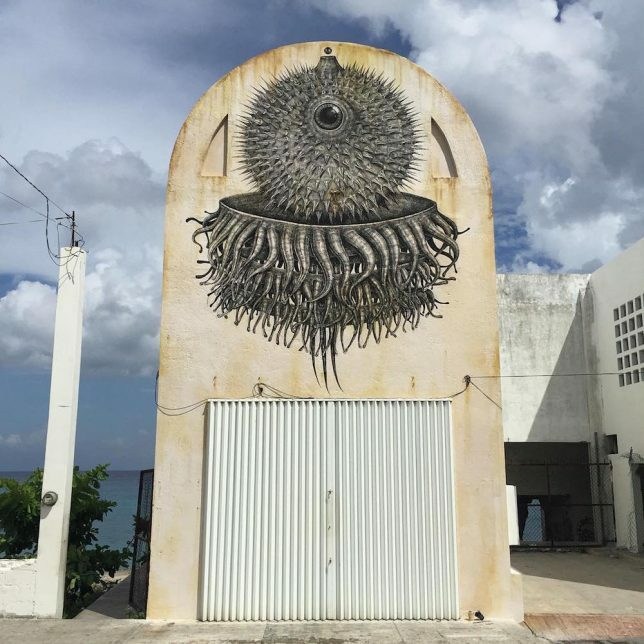 The piece was created as part of the One Wall Mural Project by Super A and Collin van der Sluijs of The Netherlands. 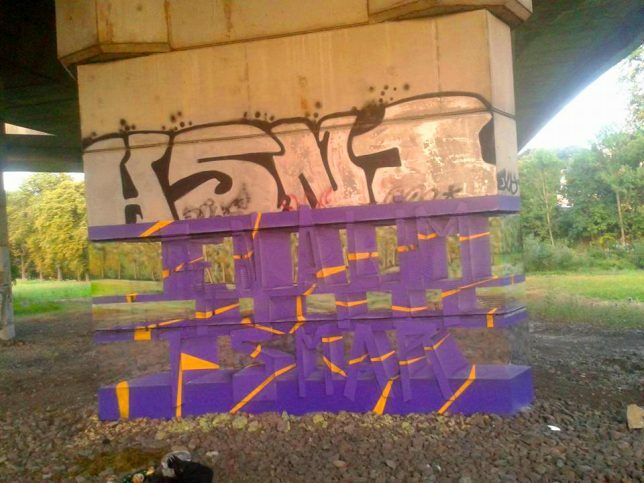 This is no ordinary underpass tag. 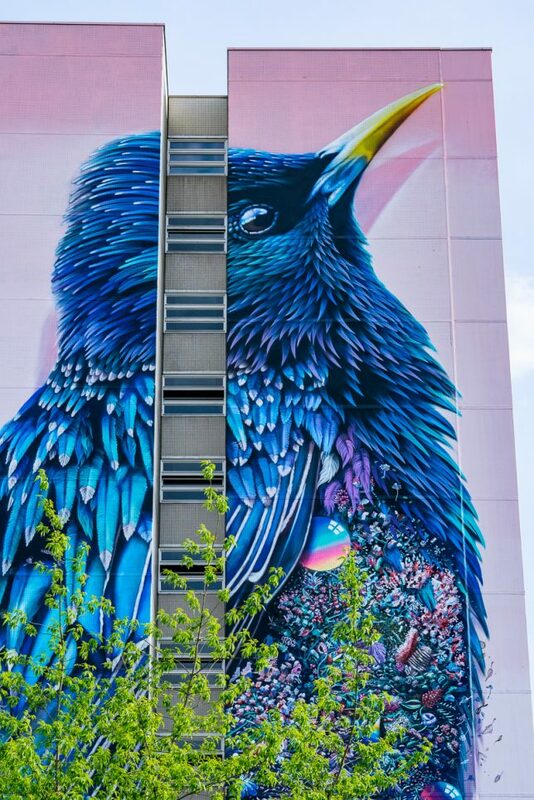 While it does spell out the name of Czech graffiti writer Milane Ramsi – backwards – it’s also painted with trees and grass to blend into the background, making the pylon look like it’s disappearing at the base. 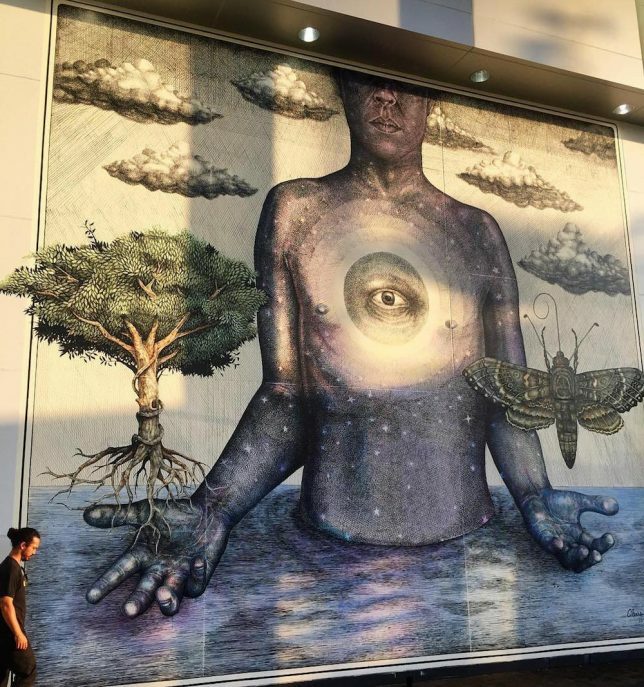 Alexis Diaz uses a pointillism style comprised of thousands of tiny brushstrokes to create the incredible level of detail seen in his large-scale murals, brimming with human and animal figures. 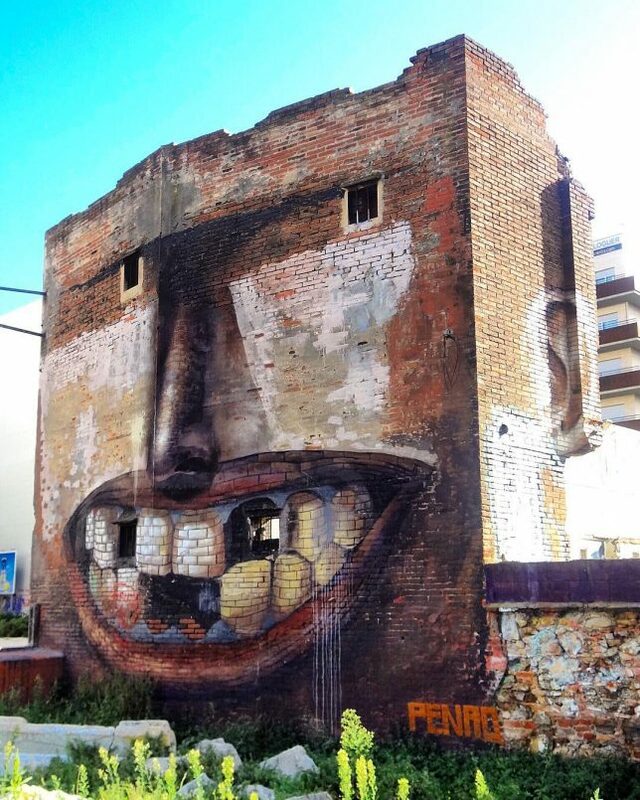 Diaz works mostly freehand without a set plan, letting each piece come together naturally.